When you have a growing family, you need a bigger car. Face it, when there are three car seats or more, that four-door sedan you bought when you got married just doesn’t cut it anymore. Cue the three-row sport utility vehicle. But just because you need to drive a SUV doesn’t mean you want to pay a bunch more for the extra metal, or burn through a ton more gas. And wouldn’t it be nice to have a smart design that makes the most of the space so you don’t have to leave a huge footprint? 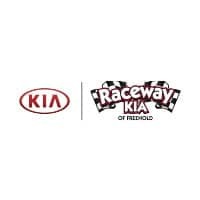 That’s where the 2019 Kia Sorento comes in. In this comparison guide, we’ll set the Sorento next to the Highlander and see why the Sorento needs to be your next car. Kids are expensive all on their own. Even with your trade-in, an SUV is going to be a serious financial setback, right? Well, maybe not. Take the Kia Sorento, which starts at just $25,990. That’s not much more than a good four-door sedan, which is great news for your wallet. That comes standard with a 185-horsepower four-cylinder engine, six-speed automatic transmission, and front-wheel drive, along with standard features like Bluetooth, USB port, Android Auto, Apple CarPlay, six-speaker audio system, rearview camera, and UVO infotainment system with a 7-inch touch screen. Meanwhile, the base Toyota Highlander starts at a whopping $31,330, about $5000 more. The Highlander comes standard with cloth seats, Bluetooth, five USB ports, voice recognition, rearview camera, smaller 6.1-inch touch-screen infotainment system, forward collision warning, automatic emergency braking, pedestrian detection, lane departure warning, lane keep assist, automatic high beams, and adaptive cruise control. So, the Highlander boasts a few more safety features, but suffers from a smaller touch screen. We’re still wondering why anyone would pay that much more for the Highlander. If you’re thinking the difference must be in the engine, think again. The base Sorento and base Highlander both deliver the same 185 horsepower. There’s another way you’ll save with the Sorento: at the pump. The thrifty Sorento L gets 22 city miles and 29 highway miles per gallon. By comparison, the Highlander LE gets 20 mpg in the city and 24 mpg on the highway. That trend reverses when you step up the trims and upgrade the engines, but only to the tune of 1 or 2 mpg. 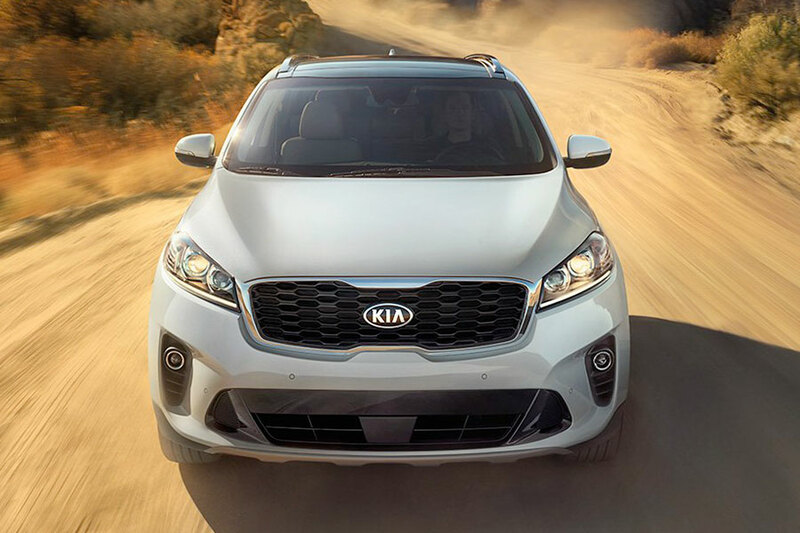 If you’re trying to save money, the Sorento will do more for you, for less. Speaking of more for less, let’s talk towing. That’s right. One of the perks of driving a sport utility vehicle is the towing ability. Trucks these are not, but they can help with a little trailering. At the upper end, both the Sorento and Highlander can tow up to 5,000 pounds, when properly configured. However, if we limit ourselves to looking at the more practical base trims, the Sorento does more. At this level, the Sorento can tow up to 2,000 pounds while the Highlander contents itself with 1,500. Driving on a budget? 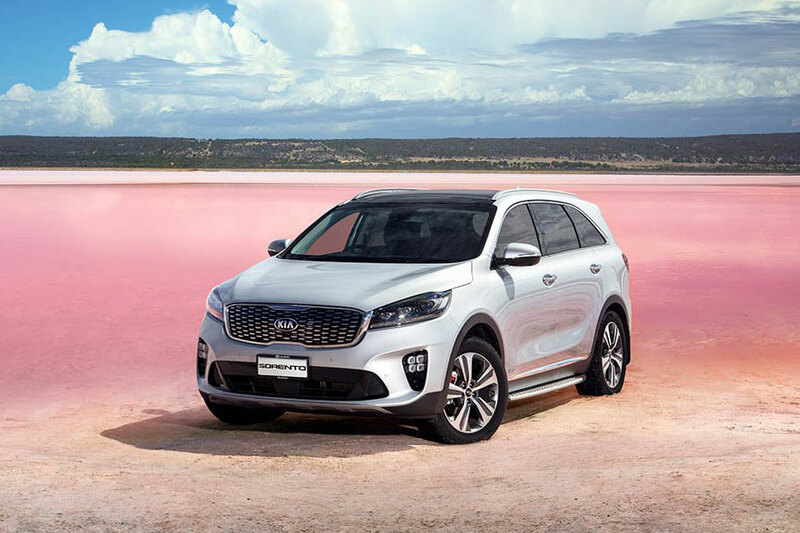 The 2019 Kia Sorento is a better bet.